The FAA and a group of safety education partners are working together on a national safety campaign known as #FlySafe to educate the General Aviation (GA) community about how to prevent loss of control accidents. 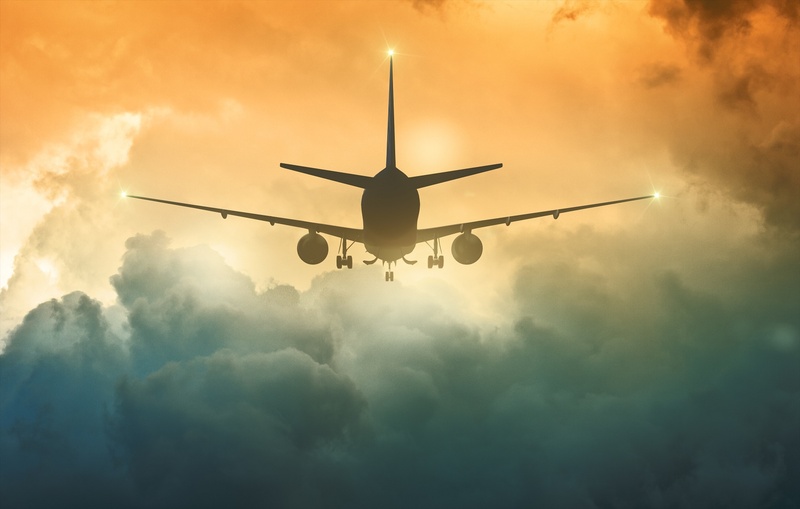 NTSB accident data suggest that spatial disorientation may be a precursor to many general aviation accidents – particularly in night or limited visibility weather conditions. Instrument and VFR pilots are both subject to spatial disorientation and optical illusions that may cause loss of aircraft control. Between 5 and 10 percent of all general aviation accidents can be attributed to spatial disorientation. Ninety percent of those accidents are fatal. Let’s start by looking at spatial orientation, which is our natural ability to maintain our posture in relation to the space around us. It’s easy when we’re on the ground, but the three-dimensional environment of flight is not natural to our bodies, and it can create illusions that make it difficult for us to know – literally – which side is “up.” This is known as spatial disorientation. Spatial disorientation is caused by the senses of the body misrepresenting the pilot’s position in space. The body’s orientation senses are made up of vision (eyes); vestibular (inner ear); and proprioceptors (muscle/tendon sense). The inner ear contains the vestibular system, which is also known as the organ of equilibrium. This tiny system (about the size of a pencil eraser) detects changes in linear acceleration and gravity, providing information to your brain about your body’s position and movement. A connection between this system and your eyes helps you keep your balance. The semicircular canals are inside the vestibular system. Each canal is filled with a fluid and contains a motion sensor with little hairs, which move as the fluid moves inside the canal, in response to angular acceleration. If you turn either your aircraft or your head, the canal moves with your head, but the fluid inside does not move because of its inertia. The problem begins when you continue turning your aircraft at a constant rate for more than 20 seconds. In this kind of turn, the fluid inside the canal starts moving and friction causes it to catch up with the walls of the canal. The hairs inside the canal return to their original position, telling your brain that the turn has stopped, when in fact it continues. Your knowledge of spatial disorientation is critical to your understanding of this very real threat to your safety. The Graveyard Spin happens when the pilot enters into a spin and becomes confused because sensory cues make it feel as though the plane is turning one way, but the instruments indicate the opposite, creating a conflict. The result can be disastrous if enough altitude is lost before the pilot recognizes the illusion. The Graveyard Spiral is more common that the Graveyard Spin, and is associated with a return to level flight following a prolonged and coordinated constant-rate turn. If the turn continues for an extended period (often for 20 seconds or more), the pilot may feel like the airplane is no longer turning. If the pilot attempts to level the wings, the action will produce a sensation that the airplane is turning in the opposite direction. If the pilot believes the illusion of an opposite turn, he or she may reenter the original turn. Unfortunately, while this is happening, the airplane is still spiraling and losing altitude. If the pilot fails to level the wings, the airplane will continue spiraling downward until it impacts the ground. The Coriolis Illusion can occur if a pilot tilts his or her head forwards or backwards while the plane is turning. This can happen if you tilt your head down to look at a chart, or tilt it up to look at an overhead switch, or tilt it sideways. This produces a sensation that the aircraft is turning or accelerating on a different axis when it isn’t. The disoriented pilot may maneuver the aircraft into a dangerous attitude in an attempt to correct the aircraft’s perceived attitude. That’s why having an instrument cross-check or scan with minimal head movement is important. may be asking for disorientation trouble if you fly when you’re not feeling at your best. How Can I Prevent Spatial Disorientation? Take the opportunity to experience spatial disorientation illusions in a Barany chair, a Vertigon, a GYRO, or a Virtual Reality Spatial Disorientation Demonstrator. Train and maintain proficiency in airplane control by reference to instruments, especially before flying with less than three miles visibility and/or at night. Use instruments when flying at night or in reduced visibility. Maintain night-flight currency. Include cross-country and local operations at different airports. If you are only VFR qualified, don’t fly if there’s a chance you could get trapped in deteriorating weather. If you experience the illusion of spatial disorientation during flight, trust your instruments! This is one time when you don’t want to believe what your body is telling you. Take advantage of the many training opportunities to learn more about spatial disorientation. Courses are offered through the Civil Airspace Medical Institute. Physical demonstrators can give you the experience of vestibular and visual illusions in a safe, ground-based environment. Search “spatial disorientation” at www.FAA.gov for videos and further information. Check out the Pilot’s Handbook of Aeronautical Knowledge Chapter on Aeromedical Factors. Read all about “Blurred Lines” in the Sept/Oct 2015 edition of FAA Safety Briefing. The GAJSC combines the expertise of many key decision makers across different parts of the FAA, several government agencies, and stakeholder groups. The other federal agencies are the National Aeronautics and Space Administration and the National Transportation Safety Board , which participates as an observer. Industry participants include the Aircraft Owners and Pilots Association, Experimental Aircraft Association, General Aviation Manufacturers Association, Light Aircraft Manufacturers Association, National Business Aviation Association, National Air Transportation Association, National Association of Flight Instructors, Society of Aviation and Flight Educators, and the aviation insurance industry. The European Aviation Safety Agency also participates as an observer. ← Can E-Cigarettes Get Checked With Airport Baggage?